For more on St. Herman, Elder and Wonderworker of Alaska, see this special page I created for my home parish in 2010, in honor of the 40th anniversary of the Glorification of St Herman by the OCA and ROCOR in 1970. Filled with video, audio, articles, icons, suggested books, links for further reading, and much, much more, this is one of the most extensive resources on St Herman available on the internet. OCA Resources on St Herman: Life, Chronology of Events in St Herman’s Life, Liturgical Music Downloads, A Prayer to St Herman, Photos and Coverage of his Canonization in 1970, ecclesiastical messages from the OCA hierarchy surrounding St Herman’s glorification. This significant collection rekindles the excitement and zeal sparked by the glorification of the first Saint of North America over forty years ago! Akathist to St Herman: (PDF Format) Suitable for home use, this moving prayer service highlights events from St Herman’s life, and helps one absorb his spirituality even while asking his intercessions. Pray a section each evening with your children! 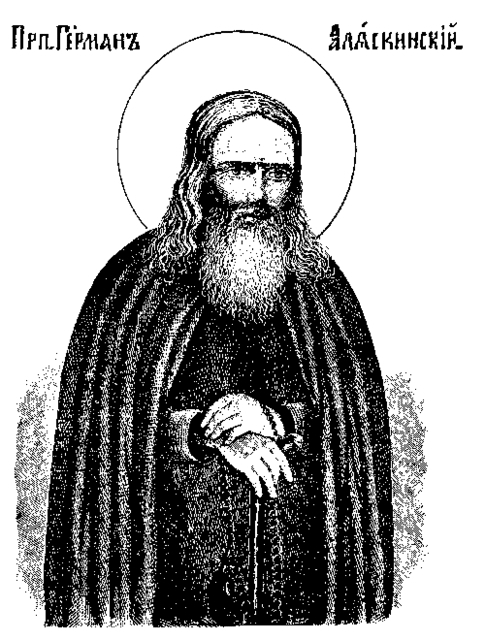 Wikipedia Article on St Herman: Very useful, and condenses a wide range of information about St Herman’s joint glorification by the OCA and ROCOR, his impact on the Orthodox Church, and his veneration. Features numerous links to other resources. 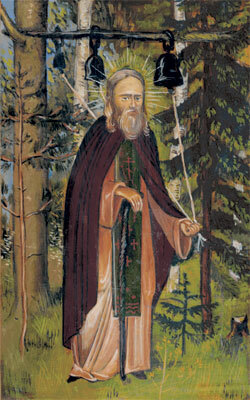 St. Herman of Alaska is commemorated in the Orthodox Church on August 9 (the anniversary of his glorification), and December 13 (the traditional date of his repose). May we have his blessing! My hope is to make a pilgrimage to Alaska during the course of the North American Thebaid Project, and venerate St Herman’s relics, visiting Spruce Island and other sites associated with his holy life, and photographing the sketes and monastics who continue to honor the Holy Elder’s memory with their own ascetical struggles. Holy Elder Herman, pray to God for us!